Wayfinders is an all-acoustic, improvising ensemble which aims to explore the nexus between improvised music and folk traditions; both sacred and secular. Wayfinders is the latest project of Melbourne drummer/composer Ronny Ferella. 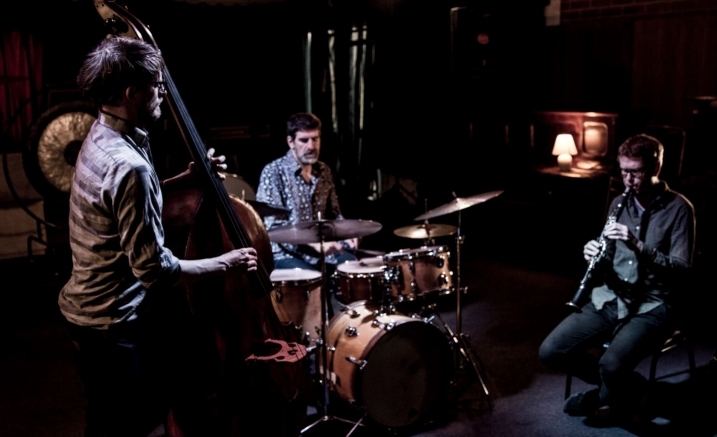 Known for a wide and varied output, Ronny has led many Melbourne outfits, working with some of the top flight jazz, roots and improvising musicians in the country. His much acclaimed ensemble IshIsh has received international attention and toured throughout Europe and Australia. Wayfinders were the ancient Polynesian navigators who used the signs of nature to guide them on their sea journeys. It is this deep sense of touch and oneness with one’s environment that The Wayfinders hope to communicate. It is modern day ritual, embracing sound and rhythm as a way to communicate feelings and ideas.